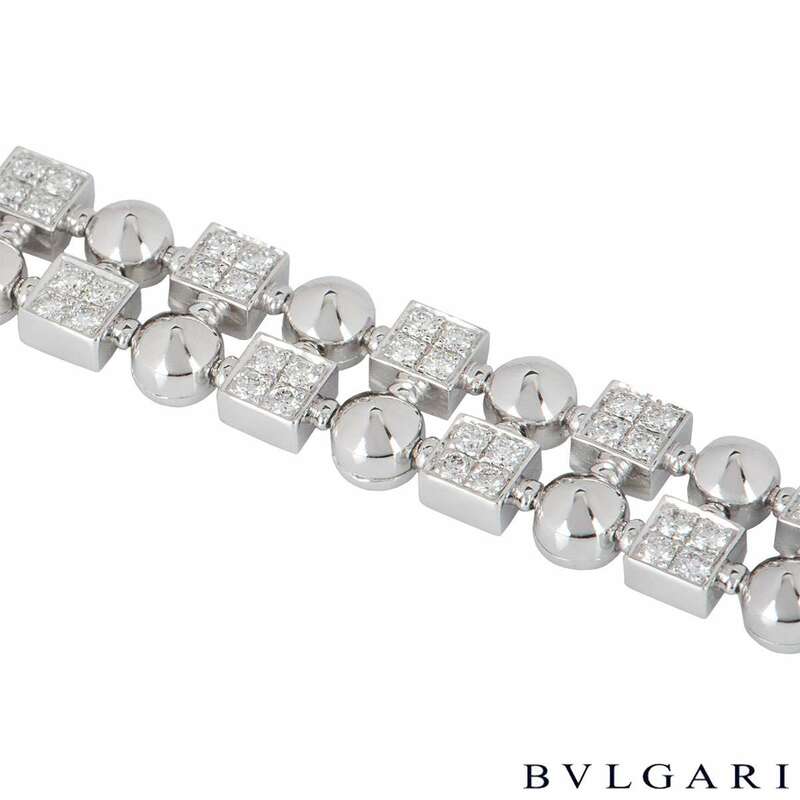 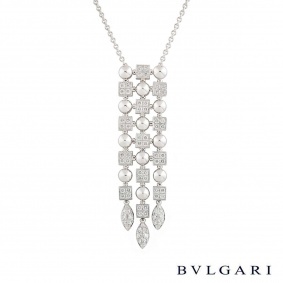 An impressive 18k white gold diamond bracelet from the Lucea collection by Bvlgari. 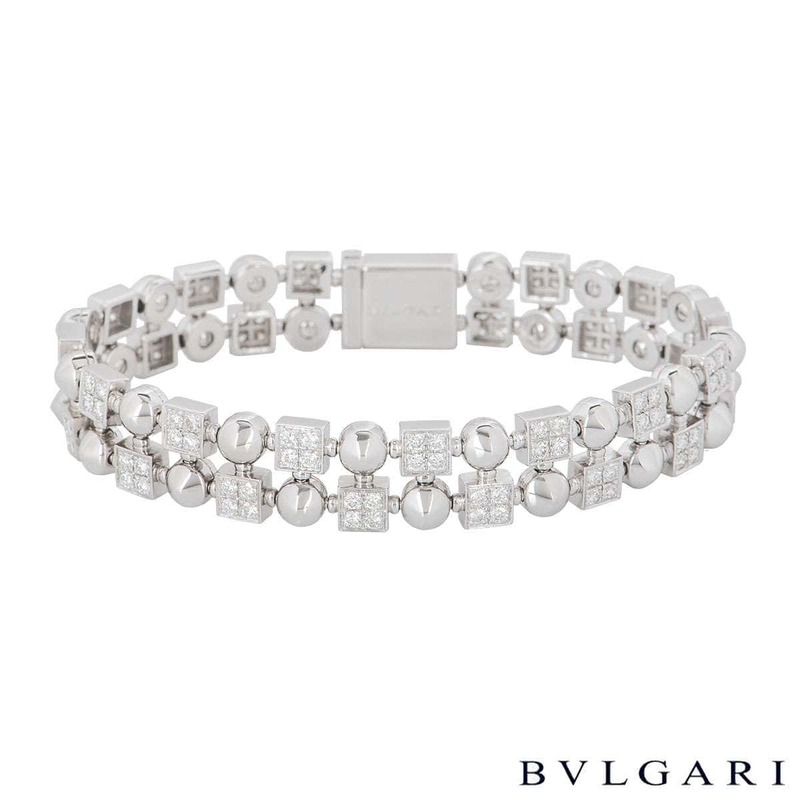 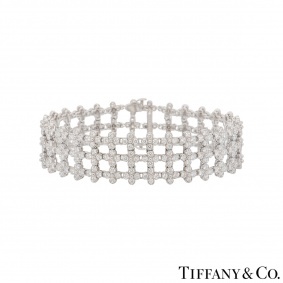 The bracelet is composed of 32 square links, each set with four round brilliant cut diamonds totalling approximately 2.56ct. 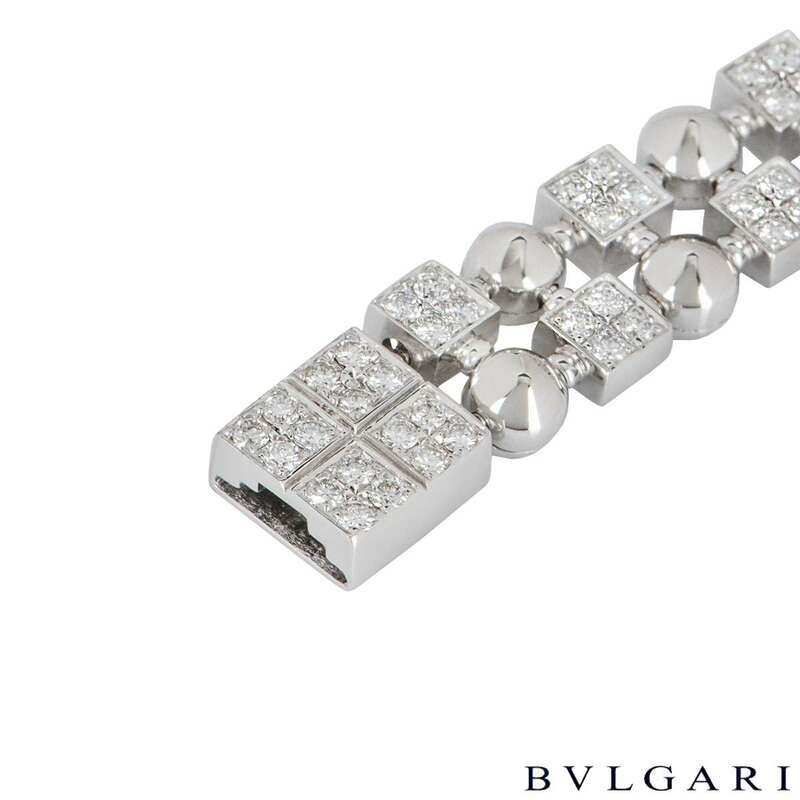 Interlinking between each diamond set square is an 18k white gold polished spherical link. 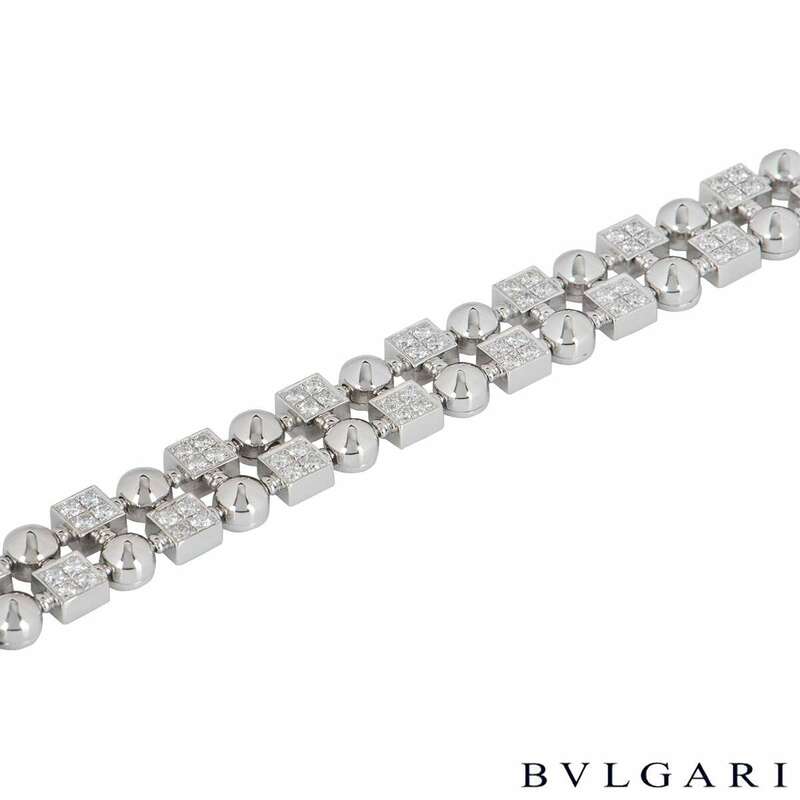 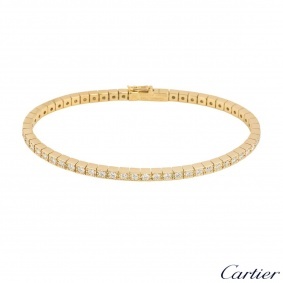 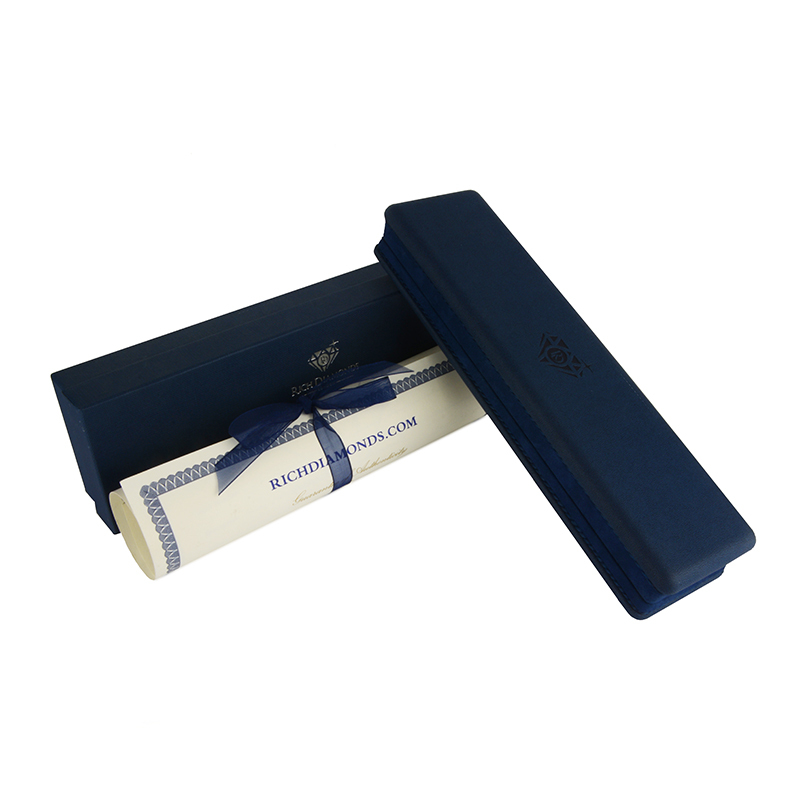 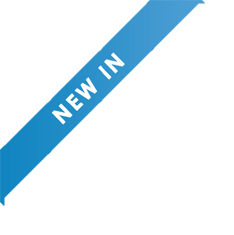 The bracelet measures 6.8 inches in length, features a discrete tongue clasp and has a gross weight of 37.22 grams.